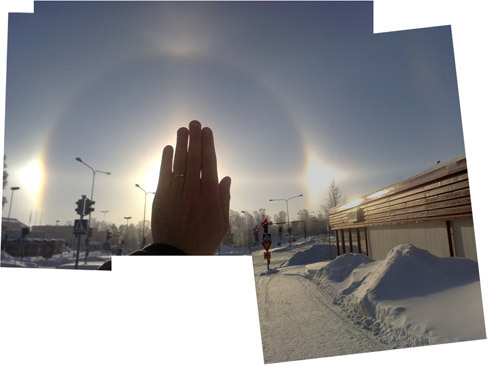 Miika Karppinen photographed this display in the town of Kajaani on 8 March this year. Upper sunvex Parry arc and 46° Parry arc are weakly present ( 1 ). The other display occurred on 26 October 2006 in Salla ( 2 ). Photos were taken by Jani Päiväniemi. Under the circumzenith arc there is a patch of 46° halo, which could be indication of 46° contact arc. 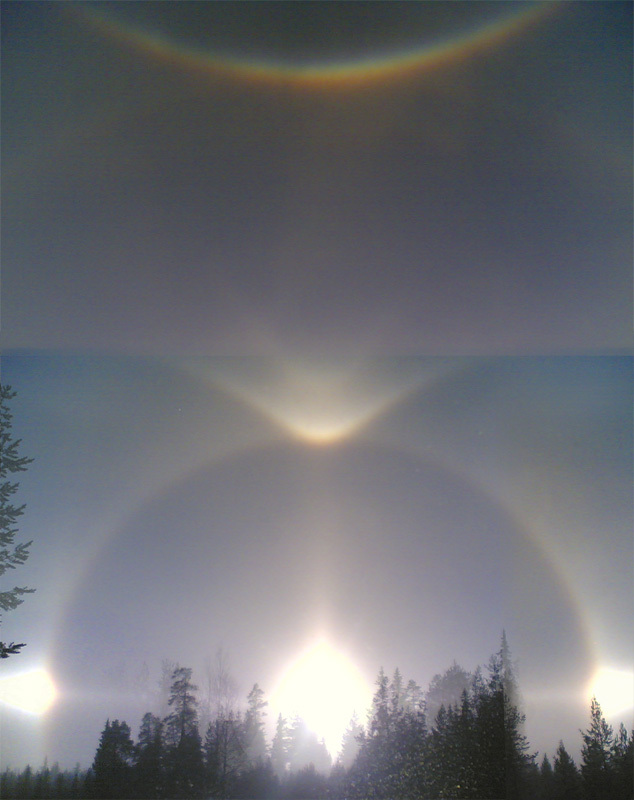 First convincing photos 46° contact arcs were taken three days later in Muonio ( 3 ). Both Kajaani and Salla displays were captured with cell phone cameras. Really nice photos. 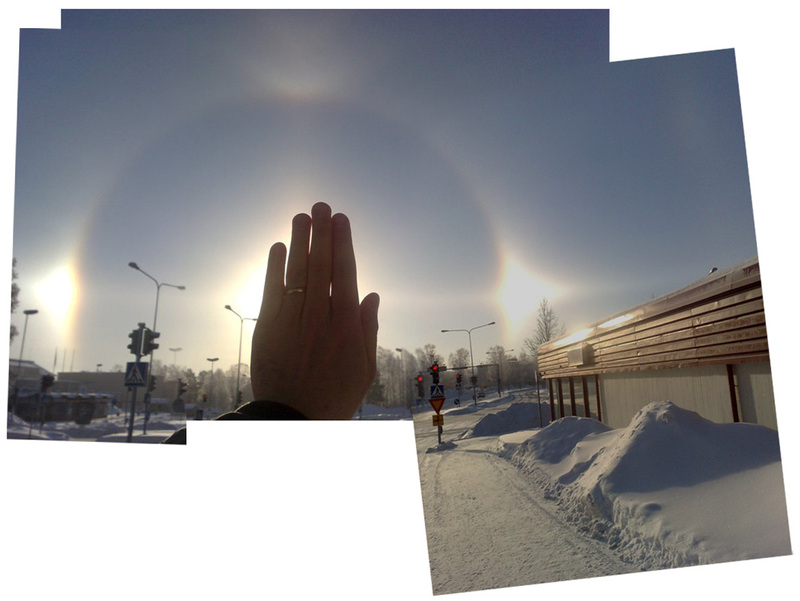 What a pity that the 44° parhelia region is not there in the Kajaani photo. With such bright 22° parhelia it'd be good to see what's there behind the building and on the left. Yes, this could have been a case for 44° parhelia. On the other hand, cell phone cameras tend to have plenty of "highlight clipping", so sometimes they convey a fakish impression of very bright parhelia.